Caricature of the “Divine 9”. 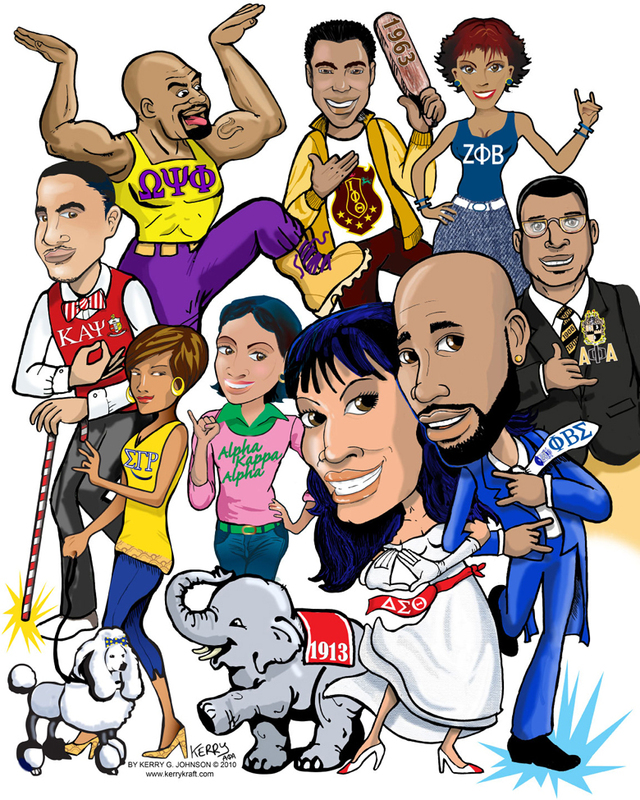 This is a tribute illustration celebrates the imagery of the 9 historically African American fraternities and sororities. Which include: Alpha Phi Alpha, Alpha Kappa Alpha, Kappa Alpha Psi, Zeta Phi Beta, Sigma Gamma Rho, Omega Psi Phi, Iota Phi Theta, Phi Beta Sigma, Delta Sigma Theta. The Sigma and Delta in the front are the blessed wedding couple.